The Louisville Concours d’Elegance 2012 will be held October 5-7 at historic Churchill Downs in Louisville, Kentucky. The home of the Kentucky Derby will host featured marques Cadillac and Porsche Racing, in addition to a selection of historic collector cars on display. The Louisville Concours d’Elegance 2012 will feature fifteen judged and three special exhibition classes. Nominations for the 2012 show field are still being accepted and can be made at LouisvilleConcours.com. In addition to the Concours on Sunday, weekend activities include a “Welcome to Louisville” reception on Friday, followed by the “Dawn at the Downs” Champagne Brunch and the evening at Glenview Country Estates on Saturday. The weekend will begin at 21c Museum Hotel with a private welcoming reception for exhibitors, judges, sponsors and invited guests. Attendees will enjoy southern hospitality while exploring the work of contemporary artists and sampling local culinary specialties. Complimentary food, drink and entertainment included. This event starts with a private viewing of the morning workouts of the racehorses that call Churchill Downs home. Nothing quite matches the beauty and splendor of watching these million-dollar, four-legged athletes run the track on a quiet October morning. After the workout, guests will be treated to a champagne brunch at the Kentucky Derby Museum, followed by a private tour of historic Churchill Downs, where they will learn about the history and pageantry that make it one of the world’s most famous sporting venues. Enjoy an evening in one of the most historic neighborhoods of Louisville. Glenview Historic District is on the National Register of Historic Places and includes what were once the country estates of Louisville. Now, the neighborhood is a collection of some of the most beautiful homes in the area. The evening includes a cocktail hour and heavy hors d’oeuvres in one historic home before traveling to another for specialty drinks, desserts and dancing. Includes a premium silent auction and original Kentucky entertainment. Many historic collector cars will be on display in the infield of Churchill Downs, each competing for the coveted “Best in Show” crystal trophy. The day includes VIP facilities, refreshments and entertainment, an automotive artist exhibit, a “Kids and Cars” tent and other attractions. The 2012 Louisville Concours d’Elegance will benefit Kosair Children’s Hospital, Kentucky’s only full-service, free-standing children’s hospital. 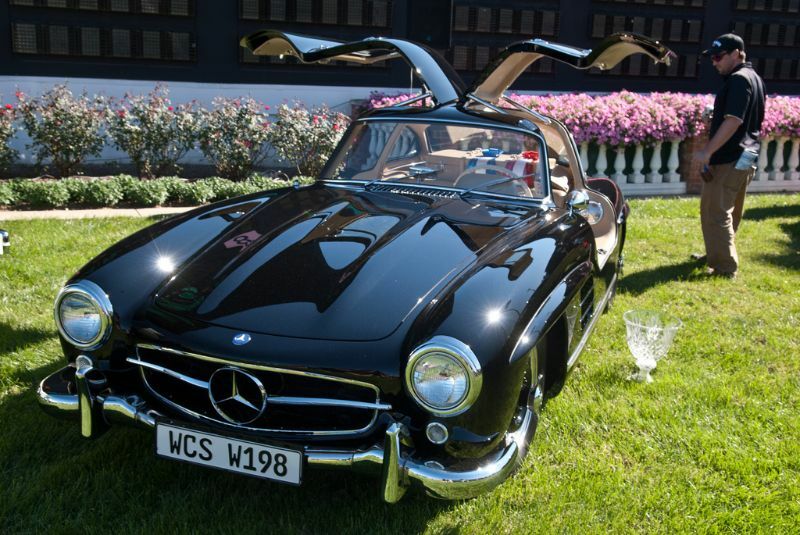 For more information, visit LouisvilleConcours.com or call (502) 629-8060.